This seminal but almost forgotten leader is considered by some as the true father of the civil rights movement in the United States. 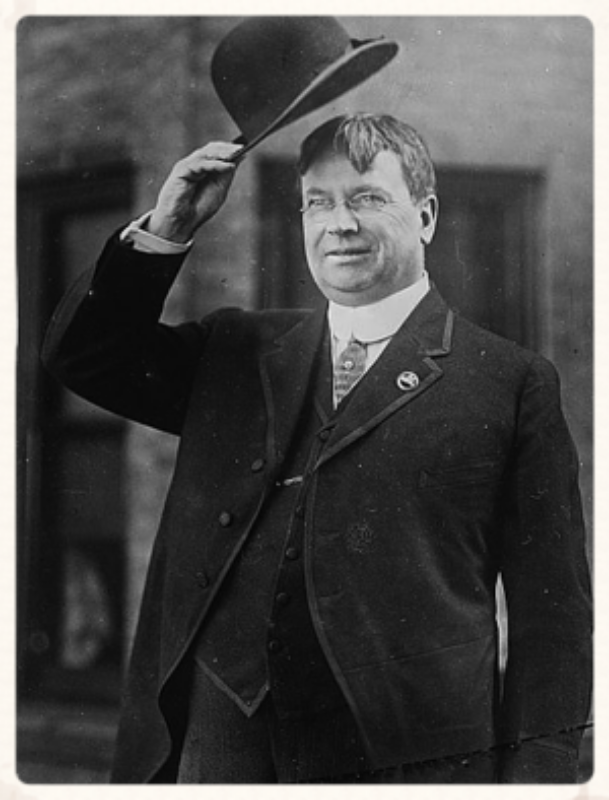 Today his deeds are not known by many, his name outside the labor movement, does not elicit recognition. And yet, millions of colored people, minorities and even women owe a great debt to this man. But the road to Executive Order 8802 was long in the making. In January 1917, William White, President of the Headwaiters and Side Waiters Society of Greater New York asked A. Philip Randolph to edit the monthly magazine “Hotel Messenger”. Later, the “Hotel” was dropped and in November 1917, the first issue of The Messenger was published. The following quotation from the August 1919 issue gives an inkling of the future civil rights movement. “First, as workers, black and white, we all have one common interest, the getting of more wages, shorter hours, and better working conditions. In June 1925, the Pullman porters, an all-black service staff of the Pullman Sleeping Cars asked Randolph to lead their new organization, Brotherhood of Sleeping Car Porters (BSCP). For ten years, Randolph organized the Pullman porters and the BSCP became the exclusive bargaining agent of the Pullman porters. In 1935, the BSCP was granted its charter by the American Federation of Labor (AFL). The war in Europe starting in 1939 created a boom in the defense industry but Government-instituted training programs still excluded blacks. More than 250,000 new defense jobs were closed to blacks. In the aircraft industry, only 240 of 107,000 workers were blacks. The same situation was experienced in other industries like construction. In the armed forces, even after the passage of the Selective Training and Service Act in 1940 which was the first peace time draft of men between 21 and 35, the blacks and other minorities like the Filipinos still could not secure their right to fight. On September 27, 1940, Randolph with Walter White, head of the NAACP and T. Arnold Hill, an administrator for the Urban League met with President Roosevelt. They spoke of the many injustices in the hiring practices particularly in the defense industry and the discriminatory practices in the army. The President tried to assuage their complaints by telling them that progress was being made by putting blacks into combat services proportionately. 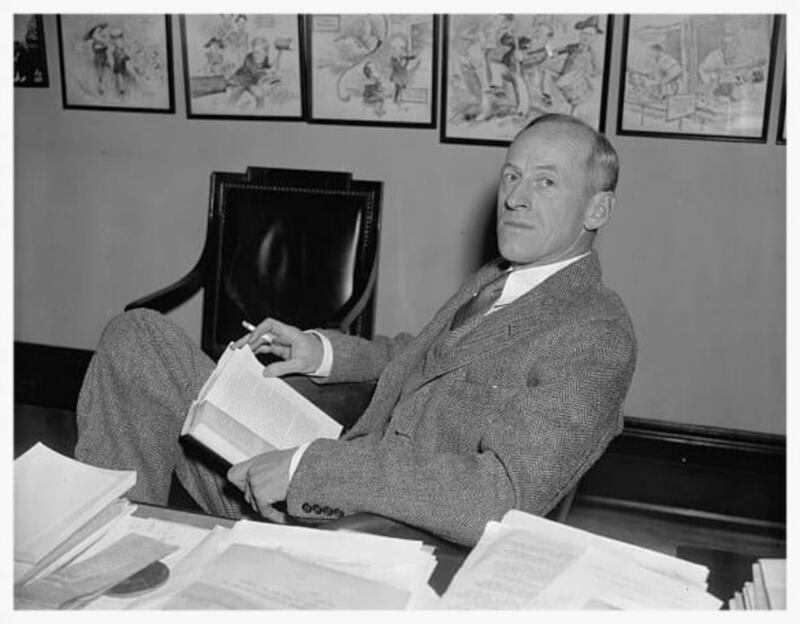 But Secretary of the Navy Frank Knox, who was present at the meeting, stated that this was almost impossible particularly in the Navy where men live aboard ships. But the President promised them that he will consult with the cabinet and military leadership about these problems. Randolph and the other leaders were greatly encouraged by the meeting. Randolph and the rest did not hear from the President regarding his meeting with the cabinet. They learned of the War Department’s position through a press briefing stating that it would not intermingle colored and white enlisted personnel in the same regiments. It further stated that all parties agreed to the report. Randolph and White asked for another meeting with the President but the meeting was not made nor did the Press Secretary Stephen Early clarify the statement in the press briefing. En route to a Pullman conference in several major cities, Randolph and Milton Webster, a Pullman porter planned a strategy to get 10,000 Negroes to march down Pennsylvania Avenue. This was the birth of the March on Washington movement, a non-violent civil disobedience campaign that was proposed in speeches to the Pullman porters. 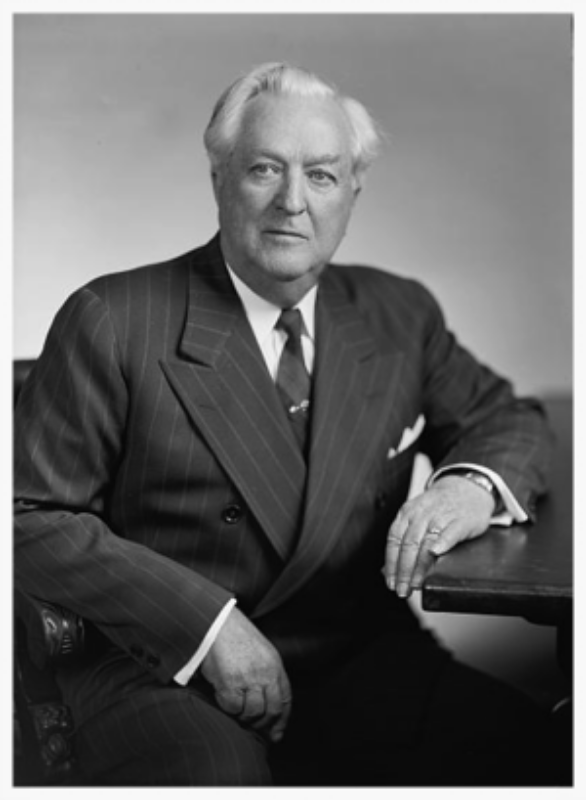 By late 1940, Randolph set up the National March on Washington Committee with branches in eighteen cities. The proposed march set on July 1, 1941 was publicized in Black newspapers, through the NAACP, the Urban League and by the porters. It called for jobs in national defense and equal integration in the fighting forces of the United States. 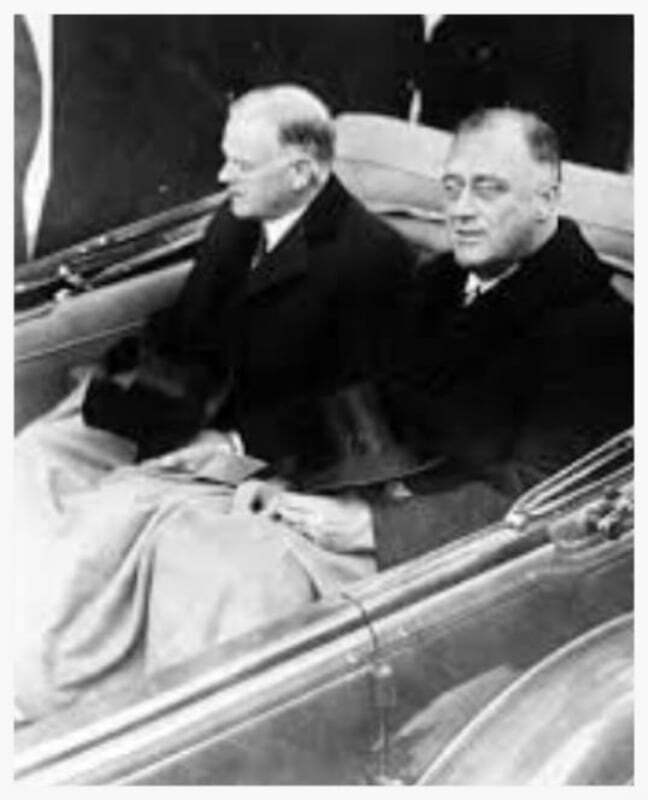 By January 1941, President Roosevelt was alerted of the Washington March plan and refused to have another meeting with Randolph in the spring. 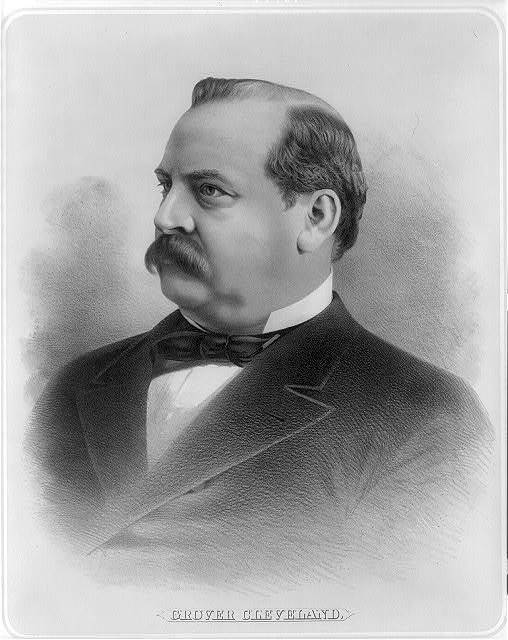 Randolph sent letters to the president and to government officials to ask them to make speeches at the Lincoln Memorial where the marchers intended to gather. Roosevelt asked Eleanor to write to Randolph urging him not to follow through with the march, citing that people may get hurt in the process. But this did not deter Randolph from proceeding with the march. 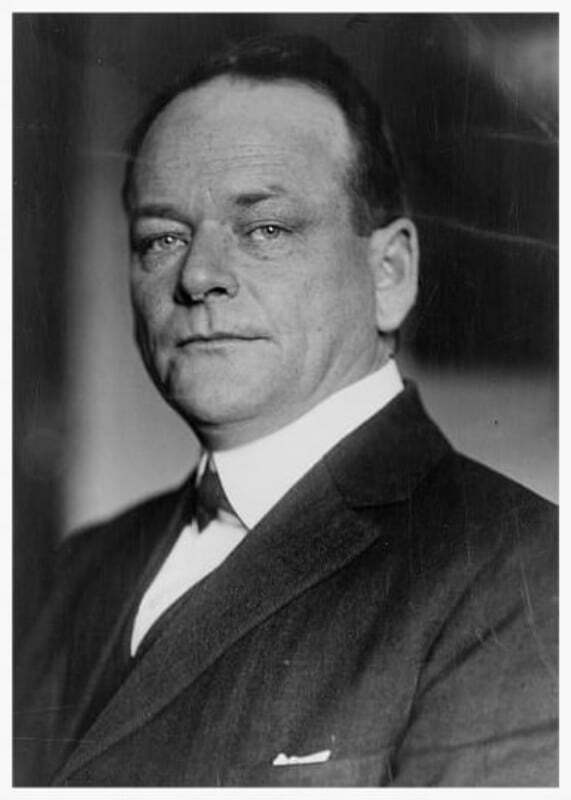 Eleanor asked Randolph on the logistics of the marchers, to which he replied that they would stay in Washington hotels and eat in the city’s restaurants, a situation that would have created riots. Privately, he asked the March in Washington Committee to request the support of black churches and schools in the capital. 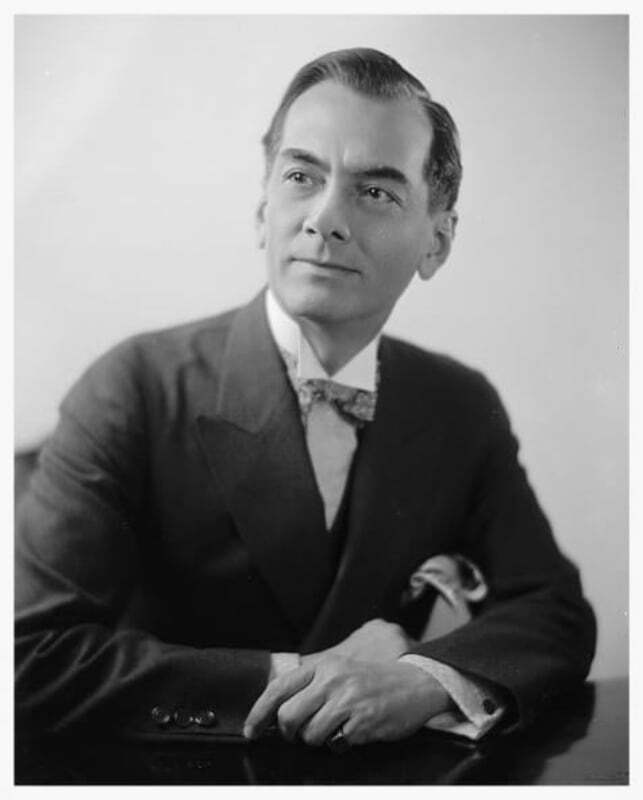 Eleanor later met with Randolph in New York and subsequently advised the president to meet with Randolph at the White House to prevent the march. The meeting with the President, Randolph and White took place on June 18, 1941. Roosevelt remained firm about the status of the armed forces being segregated. But he promised to set up a committee to investigate cases of discrimination. Randolph was adamant about his demand for an executive order desegregating the defense industry and the president insisted that nothing can be done until the march is called off. Randolph did not budge. The President asked Randolph how many people he planned to bring and his reply was one hundred thousand. When asked the same question, White replied the same answer without a blink. The President folded his cards when he finally agreed that a committee would draft an executive order. But Randolph did not stop at that. He helped draft the document with officials of the Cabinet and edited subsequent versions to his satisfaction. On June 25, 1941, Executive Order 8802 was signed. Under the order, the Fair Employment Practices Committee (FPEC) was set up to investigate discrimination in the work place. Although FPEC proved inadequate to the task, the Executive order paved the way for thousands of blacks and other minorities including women to become employed in the defense industry. 1.2 million Southern blacks moved to Western and Northern cities for industrial defense jobs. More than 46,000 blacks moved to the Bay area between 1941 and 1945. Kaiser Shipyards which owned four in Richmond employed 90,000 people, a third of whom were women. However, prejudice did not end with the executive order. The movement of black workers to industrial cities resulted in race riots with the worst in 1943 in Detroit where more than thirty people, twenty-five of whom were black, died in two days. Although Executive Order 8802 did not lead to the integration of the armed forces, it led the way to the formation of the 99th Pursuit Squadron, the first black flying squadron (part of the Tuskegee Airmen) in September 1941. In April 1942, the 382nd Platoon of the U.S. Marines or the Navajo code talkers and the First Filipino Battalion were activated (later became the First Filipino Regiment in July 1942). More troops of color followed. In 1947, Randolph reignited his demand for integration of the armed forces by founding the League for Non-violent Civil Disobedience against Military Segregation. 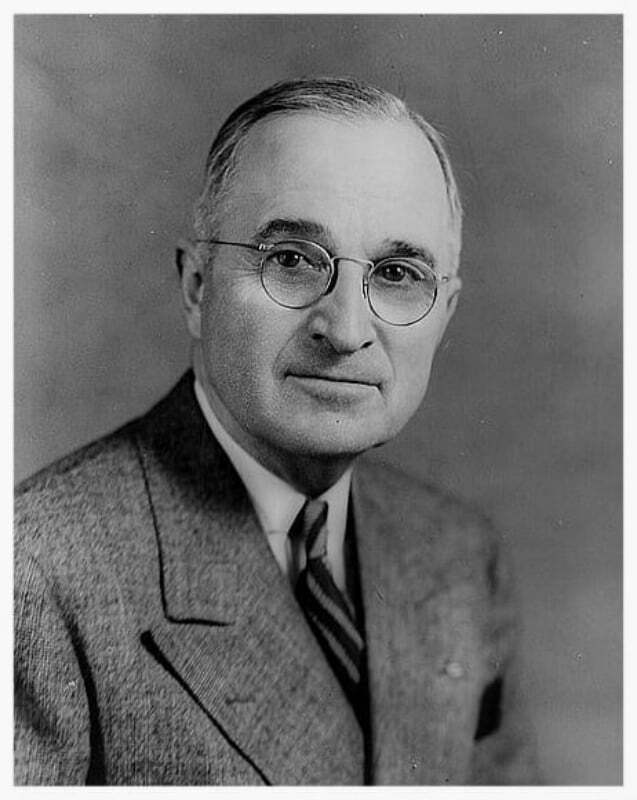 With the impending Cold war and in recognition of the contributions of the African American men and women during WWII, President Truman ordered the end of military discrimination by signing Executive Order 9981 on July 26, 1948, ending 170 years of military segregation. Randolph became the Chair of the 1963 March on Washington and Martin Luther King heeded his advice of non-violence and the rest is history. Randolph was awarded the Presidential Medal of Freedom by President Johnson in 1964. Seventy years after the signing of Executive Order 8802 we have a black president in the White House. I am sure that Asa Philip Randolph is smiling wherever he is. His dream is finally a reality. 1. Executive Orders – Primary Documents: The President and African Americans A Lesson Plan from the Education Department of the National WWII Museum. 2. 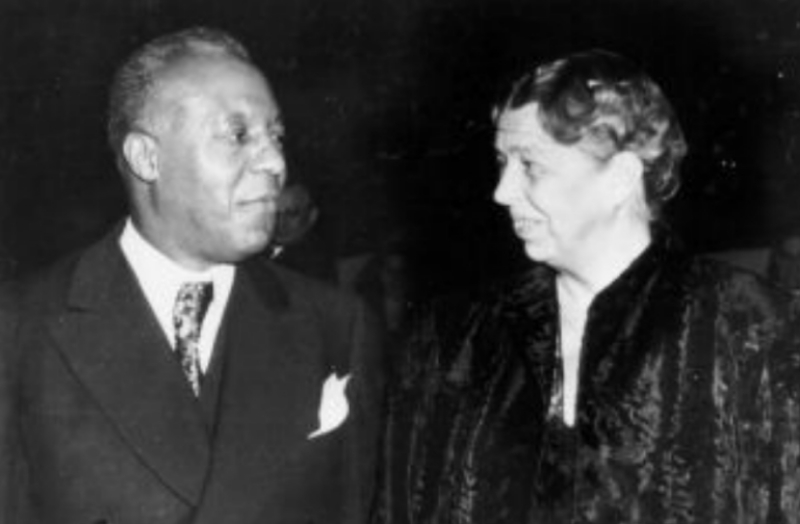 FDR, A. Philip Randolph and the Desegregation of the Defense Industries. The White House Historical Association. 3. Immigration Indigestion – A. Philip Randolph, Radical & Restrictionist by Daryl Scott, June 1999. 4. Our Reason for Being by A. Philip Randolph. The Messenger, Aug. 1919, pp11-12. 6. More than Race Relations: A. Philip Randolph & the African American Research for Empowerment by Paula Pfeffer. Reviews in American History June 1991. Besides the road to independence, there were other provisions in place, pending the final and complete withdrawal of the sovereignty of the United States over the Philippine Islands. Sec.2. (a) (12): The Philippine recognizes … upon order of the President, to call into the service of such armed forces all military forces organized by the Philippine government. Another provision, Sec.10. 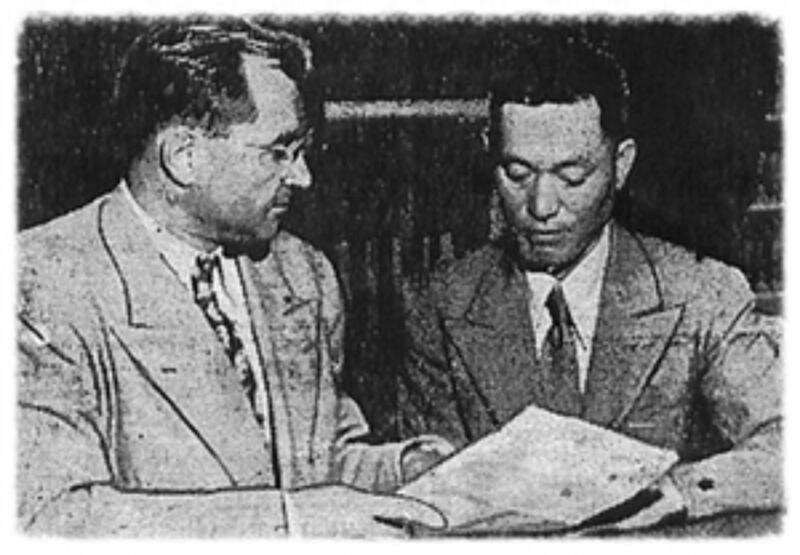 (a) & (b), allowed the United States President to discuss matters in regards to letting U.S. naval reservations and fueling stations placed in the Philippines after two years of independence. 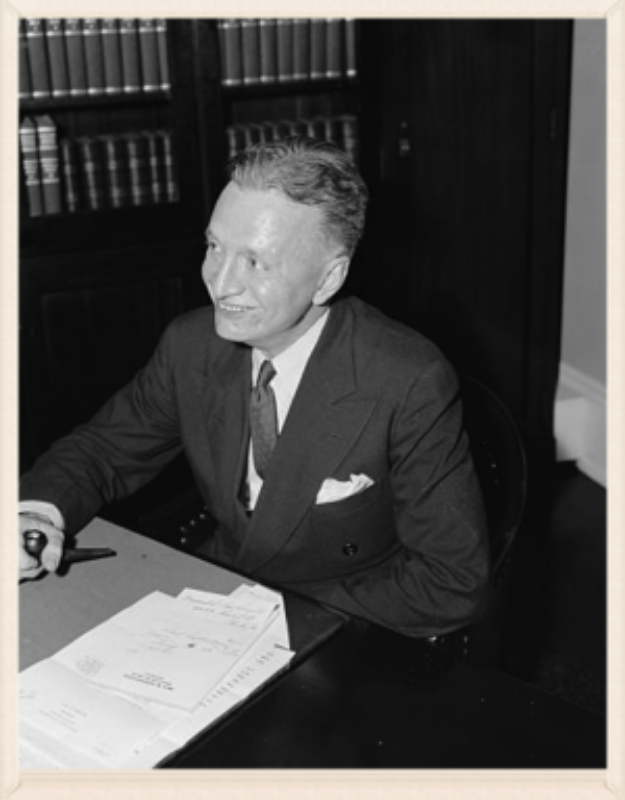 The Tydings-McDuffie Act was a “significant attempt to uniformly ban Asian immigration and redefine America’s notion of ‘Asia.”12 In its development and rationale, the provisions reflect the design to balance labor considerations, nation-building, white supremacy, racial ideology, the pragmatic economic and military benefits derived from the Philippines,13 as well as ideals of American democracy. (1) Philippine Independence Act (24 March 1934), Pub. L. 73-127, Sess. 2, ch. 84, 48 Stat. 456. (2) Larry A. Grant, “Tydings-McDuffie Act of 1934,” edited by Kathleen R. Arnold, Anti-Immigration on the United States: Historical Encyclopedia, rpt. (Santa Barbara: ABC-CLIO, LLC, 2011), 473-4. (3) Grant, Ibid. ; G. L. Lamborn, Arms of Little Value: The Challenge of Insurgency and Global Instability in the Twenty-First Century (Havertown, PA: Casmate Pubs., 2012), 154. (4) The immigration quota for the Philippines was less than that for Monaco, a country whose total populations was only 2,030. Sid Amores Valledor, The Original Writings of Philip Vera Cruz, foreword by Joaquin L. Gonzalez III, Ph. D. and afterword by E. San Juan, Jr., Ph. D. ( Indianapolis: Dog Ear Pub., 2006), 37-8. (5) Elizabeth Cobbs Hoffman, American Umpire (Cambridge: Harvard Univ. Press, 2013), 175. (7) James Tyner, Oriental Bodies: Discourse and Discipline in U.S. Immigration Policy, 1875 – 1942, annotated edition (Lanham, MD: Lexington Bks., 2006), 84; Grant, Ibid. (9) Hare-Hawes-Cutting Act (17 January 1933), Pub. L. 72-311, 47 Stat. 761; Maria Christine N. Halili, Philippine History, rpt. (Manila: Rex Bookstore, Inc., 2004), 186-7; Grant, Ibid. (10) Halili, Ibid. ; Grant, Ibid; Tyner, Ibid. (11) Tyner, Ibid., 77, 83. (15) A.P. Sames Blaustein, Jay Adrian Sigler and Benjamin R. Beede, Independence documents of the world, v. 2 (Dobbs Ferry, N.Y.: Oceana Pub., 1977), 571. Today, we celebrate the proclamation of independence of June 12, 1898 as the “Day of Freedom.” It represents the courageous spirit and moral intellect of leadership that brings forth a united social force. To Dr. José Rizal, his quest for equality in time transformed to an advocacy for nationhood as a justification to restore the dignity of his people. On 10 October 1889, at the Paris Exposition Universelle, in the letter, “To Our Dear Mother Country Spain,” Rizal and a group of illustrados declared their uniqueness as a people when they signed themselves as “The Filipinos.” More than a geographical origin it pronounced a national loyalty. To Andrés Bonifacio, the dream for independence became a possibility. The “soul of the revolution” established the revolutionary government that was democratic in its constituency. To Emilio Aguinaldo, the collage of the 42 documented rebellions which led to the Cavite Mutiny and national identity required the Filipino people to transcend oppression and formally proclaim Acta de la Proclamation de la Independencia del Pueblo Filipino. To the children of the generation of Rizal, Bonifacio, and Aguinaldo, the legacies of humanism, the enlightenment, and classical liberalism had been bestowed upon them. Those who went abroad invested themselves with the same zeal in the plantations of Hawaii, the canneries of the Pacific Northwest and Alaska, and the agricultural fields of America. As with their parents they understood well the meaning of liberty and the dignity of each individual. Denied under Section 2(3) of the National Labor Relations Act (5 July 1935), they would strive undaunted against all odds for the legal protection to organize, engage in collective bargain, and elect representatives of their choosing. 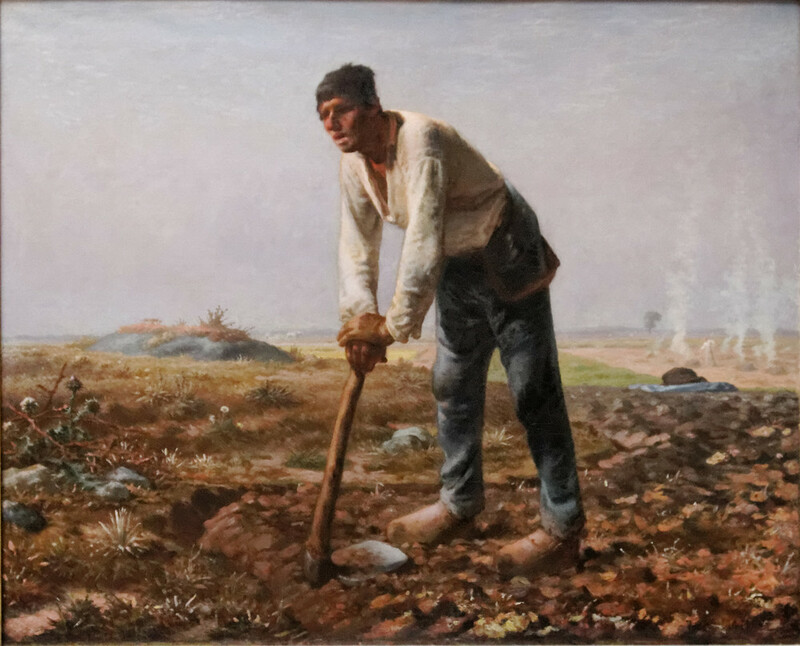 In the bastion of agriculture, then the fifth largest economy in the world, it would take four decades to overcome the institutional subordination barrier, culminating in the California Agricultural Labor Relations Act (5 June 1975). In no small measure the Filipino American agriculture labor movement had played a significant role. Organizing had been in a state of moribund for years when the multi-ethnic Agricultural Workers Organizing Committee (AWOC) of the AFL-CIO, led by its Filipino American members was victorious on 14 May 1965 in the Coachella Valley. The ending was quick and stunning. The action taken was heard and felt up north in the fields, towns and hamlets of the Central Valley. It was as if a bolt of hope, a harbinger of things to come, had been hurled across the sky and planted itself at the workers’ feet. The swift, dramatic, successful strike was the major source of inspiration at that point in time. It resounded throughout the farm belt, so loud and clear it raised to great heights the buoyed hope of farm workers everywhere. 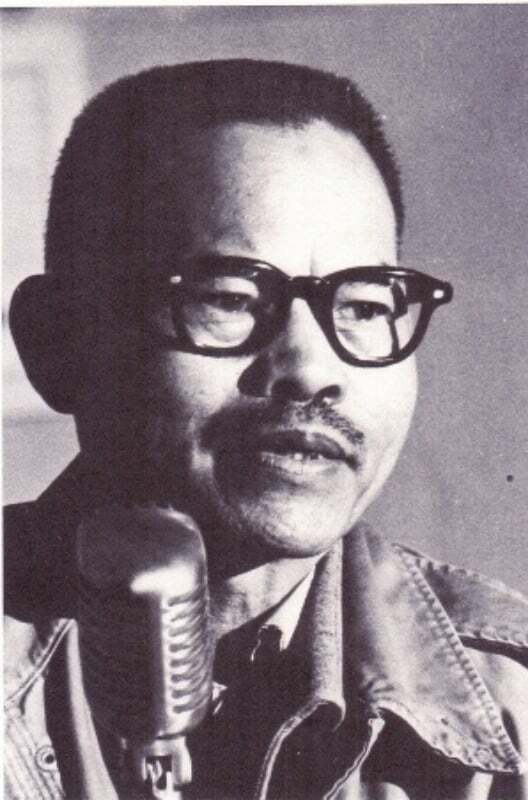 On 7 September 1965, at the Filipino Community Hall in Delano, AWOC, led by its de facto union representative leader, Larry Itliong, voted to strike, and strike they did next day. The National Farm Workers Association (NFWA) of Cesar Chavez voted to strike on September 16, followed suit on the twentieth. 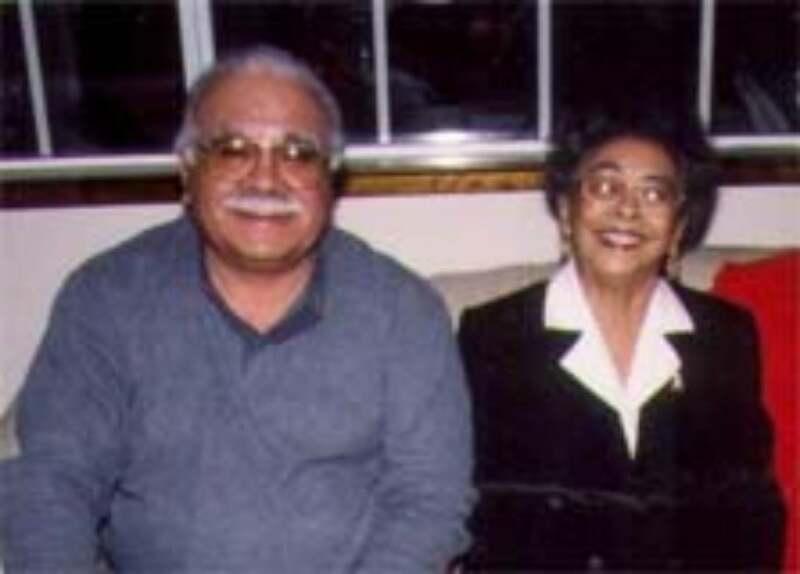 Together, on 22 August 1966 they joined as one into the United Farm Workers Organizing Committee (UFWOC) of the AFL-CIO. On 29 July 1970, 26 growers, representing 42% of the California table grapes signed contracts with UFWOC at Forty Acres. The first signature to appear was that of Larry Itliong, followed by Cesar Chavez, and John Guimarra, Sr. of the growers. UFWOC was succeeded on 19 February 1972, by the United Farm Workers of America (UFWA, technically on 17 October 1973), chartered by the AFL-CIO, with it the vision of agricultural workers finally became a reality. Philip Vera Cruz, the philosopher, in his writings and many speeches, more than anyone else among the farmworkers, articulated and related the plight and strivings of the agricultural field workers as part and parcel of the same struggle of all people to live as people should live. To Larry Itliong much is owed. At the time when all of AWOC’s dozen and a half union representatives—Caucasians, Mexican Americans, and Filipino Americans—left the union in protest of what they perceived as Chavez and his group’s takeover, only Itliong stayed. Larry Itliong, the national & international director of the UFWOC boycott and President of the state and national Filipino American Political Association was a man for all seasons. Always among the workers, the endless rounds in the fields, dealing with their everyday problems, leading the charge in battle, Itliong, the warrior, epitomizes the legacy of that generation we commemorate. In the scheme and drama of history, the shape of the country has been chiseled by the pioneers in whose hearts beat the undying belief and faith in the truthfulness of their dreams. As with the masters of destiny on whose historic shoulders they stand, Philip Vera Cruz and Larry Itliong, in the righteousness of their cause, their actions have inspired others and spawn new energies elsewhere. Lost in the fog of history were the bold actions of Larry Itliong that touched, inspired, and added to the self-esteem of individuals. The oration of Philip Vera Cruz that raised the hopes of the listeners and quickened the rhythm of their hearts, lifted the burden of despair from their chests, and brought joy and rejuvenation to them can no longer be heard. But, we have not forgotten. They will be heard, for we will always remember. 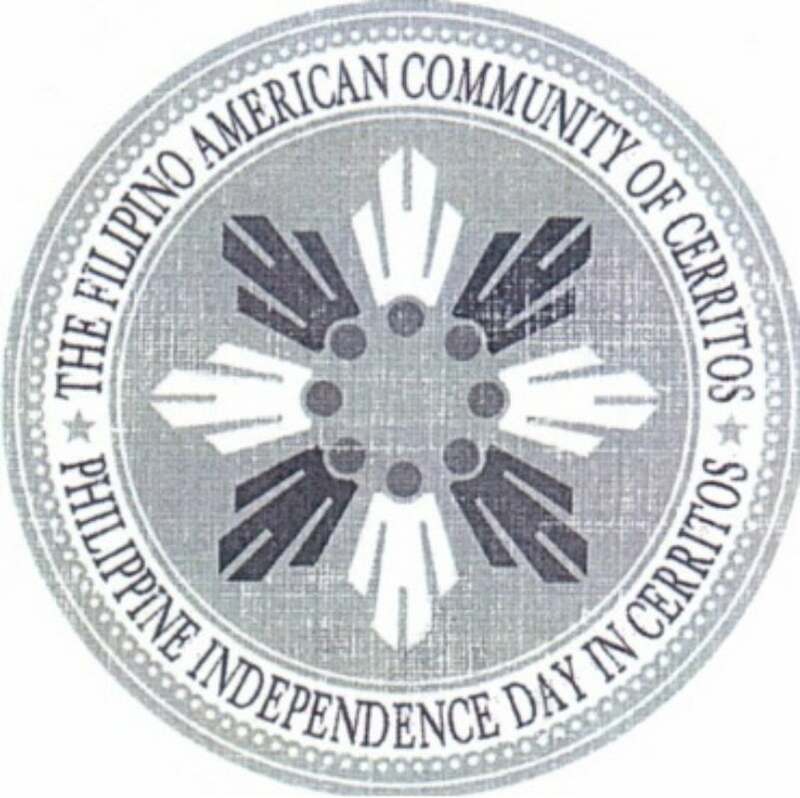 *Presented at the Filipino American Community of Cerritos’ Second Annual Celebration of Philippine Independence in commemoration of the 117th Anniversary of Philippine Independence: “The Fighting Legacy of Philippine Independence in America,” hosted by the Honorable & Mrs. Mark E. Pulido at the Heritage Park, Cerritos, California. The ability to possess and own land is one of the fundamental ways a human being is able to climb the socioeconomic ladder and create a nurturing stable environment for the family. This law follows the tradition of many others that were made to halt the immigration of the Chinese and Japanese, who were deemed a threat by the labor unions supporting the Act. Essentially, this racist policy represented the oppression felt by minorities in general that had the law against them. Using the definitions of ownership and possession stated early with the Act, one can imagine their experience. Lack of possession rights meant aliens would not be protected from unjust actions of their landlord. Lack of ownership meant they do not have a chance in obtaining their own real estate to build a home and business. The effects of the Alien Land Law of 1913 also go beyond financial detriment. Aliens illegible for citizenship would probably feel insecure and inferior due to their limited access to resources and opportunities. These self-perceived insecurity and inferiority can set the conditions of depression because despair as well as hopelessness detrimentally impact ones socioeconomic mobility. The ability of parents to adequately provide for the family would be at risk, placing undue strain in a marriage, lowering aspirations for a better future. 2. The Statutes of California and Amendments to the Codes Passed at the Fortieth Session of the Legislature, 1933. Sacramento: Superintendent of State Printing, 1913; Franklin Odo, ed., The Columbia Documentary History of the Asian American Experience (New York: Columbia Univ. Press, 2002), 160; Roger Daniels, Asian American: Chinese and Japanese in the United States since 1850 (Seattle: Univ. of Washington Press, 1988), 141-2. 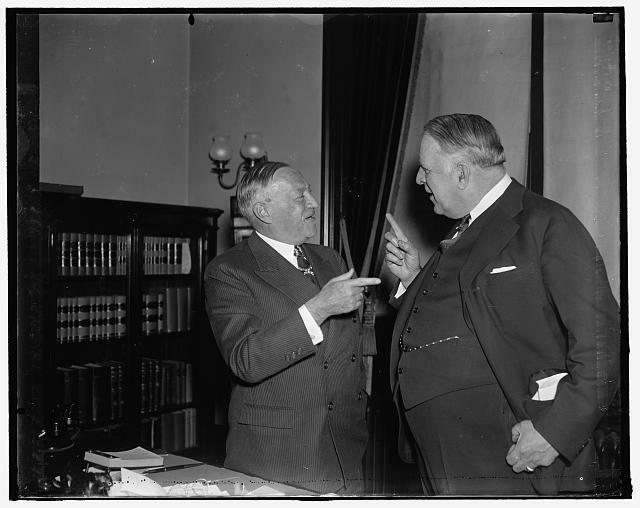 The bill, co-written by private attorney Francis Joseph Heney and California State Attorney General Ulysses Sigel Webb (R) at the behest of Governor Hiram Warren Johnson (R), passed the Legislature overwhelmingly—35 to 2. 3. Shelley Sang-Hee Lee, A New History of Asian America (New York: Routledge, Taylor & Francis Grp., 2014), 133. 4. Sang-Hee Lee, Ibid. ; Terrace v. Thompson 263 U.S. 197 (1923), Porterfield v. Webb 263 U.S. 225 (1923), Webb v. O’Brien 263 U.S. 313 (1923), Frick v. Webb 263 U.S. 326 (1923), Cockrill v. California 268 U.S. 258 (1925); Edwin E. Ferguson, 1947, “The California Alien Land Law and the Fourteenth Amendment,” California Law Review 35(1):61; Masao Suzuki, “Important or Impotent? Taking another Look at the 1920 California Alien Land Law,” Journal of Economic History (2004) 64(1) 125. 11. Immigration and Nationality Act, a.k.a. McCarran-Walter Act, (27 June 1952), Pub. L. 82-414, ch. 477, 66 Stat. 163, 8 U.S.C. ch. TheNewCastle.org officially launches its Second Contest! The logo below is for our newest section. Can you name it? Please leave your guess, along with your name and email address (when you sign in to leave your guess), in the COMMENTS section at the bottom of this post's page. As we did in our previous contest, we will provide clues every month if we don't get a winner, so keep coming back and guess again if no winner has been found! Like Contest #1, if you correctly guess the name of our new section based on the logo below, the award is $100 and $100 for the charity of your choice! Good luck! In March of 2014, The New Castle launched its first contest (http://futureishistory.org/). The contest was open to the public to guess the name of this website from a logo designed by Conrad Panganiban. The winner of the contest would win $100 and have $100 donated to that person's charity of choice. Every month a new clue would be given until the winner was found. Clue #1 (posted 03/29/2014): Take-off from a Franz Kafka novel. Clue #2 (posted 04/30/2014): Defying any Kafkaesque vision of human fate, logo symbolizes transcendence. Clue #3 (posted 06/02/2014): The logo symbolizes the vision of that ideal state. Clue #4 (posted 07/01/2014): The name of the logo/website contains 3 words. Clue #5 (posted 07/15/2014): The name of the logo/website is: The [blank] Castle. Fill in the Blank. March 30, 2014 by Marq Bautista wrote: If that is Kafka’s Castle, I would guess Fortress Filipino, though that is rather defensive. March 31, 2014 by Marq Bautista wrote: I assume the fortified tower in the background is a reference to Kafka’s Castle, and that the vegetation, being pretty, is meant to portray sn idealized Filipino plant, I will guess, Fortress Phillipines. April 6, 2014 by Elizabeth wrote: I see Franz Kafka’s The Castle referenced (society), as well as roots (heritage), and my final answer is Philippine Heritage Society! For information about the Winner, please visit The Winner of the Name the Website Contest blog post. The Tree of Knowledge logo for The New Castle Society is represented by a bamboo plant. Its roots are interwoven to the outer circle's braids to symbolize that as our collective knowledge grows, the stronger our Society becomes and continues to cycle infinitely. Anton S. from Oakland, CA. Anton's process for arriving at his answer: "As I am a chess player, when I first looked at the logo, I saw a rook, but then I saw the clue that it was a take-off from a Kafka novel, so I figured, okay it's not "Rook" but "The Castle" ("Das Schloss"). Now to the plant, I thought. Maybe grapevines, but the leaves didn't seem that way, so I figured there's no chance I can be certain what it is, so I'll assume it's a visual metaphor--Knowing that Kaibigan deeply values improving the lives of people, it seemed like the idea of a new society jibed with I saw: growth, and the braid representing strength through working together/helping each other out, and an emphasis on the roots which I thought represented things such as solid grounding, nourishment, connectedness to history. Then I thought that this sounded familiar, like something I'd see referenced in "The Original Writings of Philip Vera Cruz" by Sid Amores Valledor, but I couldn't quite remember, so I looked in the notes section of the book and found a reference to "The New Castle: Reaching for the Ultimate" by Malachi Martin which said "...with its liberating and transcendent power, the New Castle is a metaphor for a new vision of knowing and living." I said, "That's got to be it: The New Castle."" For correctly guessing the name of the logo, $100 was awarded to him as well as $100 was donated, in his name, to Society of St. Vincent de Paul of Alameda County. Congratulations, Anton! Beginning in March 2014, a website (thefutureishistory.org) was launched as a way to bring interest to the The New Castle Society. This was accomplished by having people guess the name of the logo above. Monthly clues were added to the site between the months of March to July and the guesses were posted to the site. Thank you for coming to our space on the internet! Over time, please come back to this page to see engaging articles about Filipino American history. Some of the Articles you'll find are writings that will hopefully engage you to find out more about the truth behind the exciting milestones in Filipino American life in the United States. We'll also comment and provide references to where to find more information about these milestones. In the end, The New Castle Society's main objective to to project Intersubjective verifiable facts in order to maintain our commitment to the truth.